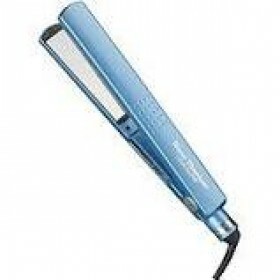 BaByliss Pro Nano Titanium 1" Mini Flat Iron The 6" mini straightening irons have al..
BaByliss Pro Nano Titanium 1" Ultra Thin Flat Iron The ultra-thin profile of these h..
BaByliss Pro Nano Titanium 1-1/2" Ultra Thin Flat Iron The ultra-thin profile of the..
BaByliss Pro Nano Titanium 1/2" Mini Flat Iron The 6" mini straightening irons have .. Hot Beauty Flat Iron Combo Hot Beauty Professional 2-in-1 Value Pack Flat Irons HFID01 .. Hot Beauty Flat Iron Compact Compact size (only 6 inches long) – Heats up to 410°F – ..
Gold 'N Hot - 3/4" Ceramic Straightening Iron GH3007 Gentle on all hair types Lock..
Gold 'N Hot 1" Ceramic Flat Iron GH2144 1" Ceramic plates Rheostat temperature con..
Gold 'N Hot 1-1/2″ Professional Ceramic Straightening Iron GH3005 Gold N Hot 1-1/2″ Pro..
Gold 'N Hot 3/8" Pro Ceramic Straightening Flat Iron GH2137 3/8" slim ceramic plates&nb..
Gold 'N Hot Gh2143 Professional Ceramic Straightening Iron 2"
Gold 'N Hot Gh2143 Professional Ceramic Straightening Iron 2" 2” ceramic plate..
RED By Kiss Ceramic Tourmaline Professional Flat Iron 1/2"
RED By Kiss Ceramic Tourmaline Professional Flat Iron 1/2" 1/2″ wide curved ceramic ..
Red Pro Titanium 460 Flat Iron 1 1/2"
Red Pro Titanium 460 Flat Iron 1 1/2" High-purity titanium plates Instant heatup; ..
Red Pro Titanium 460 Flat Iron 1"
Red Pro Titanium 460 Flat Iron 1" High-purity titanium plates Instant heatup; quic..